1. A sale may be by way of resale with a profit, a loss or at cost price if the capital value of the thing sold is known at the time of the contract, and the amount of the profit or loss is specified. 2. If it appears that the seller has exaggerated in declaring the amount of the capital value, the purchaser may reduce (the amount) by the amount of the excess. 3. If the capital value of the thing sold is not known when the contract is made, the purchaser may rescind the contract when he learns of it, and the same shall apply if the seller conceals a matter affecting the thing sold or the capital value, and he shall lose his right to elect if the goods are sold or consumed or pass out of his ownership after delivery. b Mudarabah (trust financing): Article 693 of the UAE Civil Code states that a mudarabah is ‘a contract whereby the person owning property puts in the capital, and the mudarib puts in effort or work, with a view to making a profit’. d Ijarah (leasing): Article 742 of the UAE Civil Code defines ijarah as ‘the conferring by the lessor on the lessee of the right of use intended for the thing hired for a specified period in consideration of an ascertained rent’. e While there is no specific article in UAE law that expressly refers to and deals with istisnah, the official commentary to the UAE Civil Code stipulates that the shariah principles of istisnah are applicable in the case of construction contracts (muqawala), which are defined in Article 872 as ‘a contact whereby one of the parties thereto undertakes to make a thing or to perform work in consideration which the other undertakes to provide’. While the emirate of Dubai has established itself as a major centre for business and commerce, the UAE is a relatively young country and the laws and regulations applicable to financial products and services (including Islamic finance) are rudimentary – often just providing a mandate for the formation of regulatory authorities to govern the provision of the relevant financial products and services in the UAE. Consequently, the detailed rules, regulation and policies relating to financial products and services are left to the discretion of the relevant regulatory authorities. The internal rules, policies and guidelines implemented by the authorities relating to the relevant financial products are not always made public. The laws relevant to Islamic financial services are in many cases diffused in multiple pieces of legislation and the coverage of issues (including consumer protection) is general rather than comprehensive. The UAE is one of the largest Islamic banking markets in the world, after Saudi Arabia and Malaysia. According to the UAE Central Bank, as at July 2016, 24.4 per cent (494.5 billion UAE dirhams or US$134.59 billion) of all banking assets in the UAE are shariah-compliant. The principal governmental and regulatory policies that govern the UAE banking sector, including Islamic banks (except in the Dubai International Financial Centre (DIFC), where the regulatory authority is the Dubai Financial Services Authority), are UAE Federal Law No. 10 of 1980 concerning the UAE Central Bank, the Monetary System and the Organisation of Banking (the Banking Law), UAE Federal Law No. 18 of 1993 as amended (the Commercial Code), UAE Federal Law No. 6 of 1985 concerning Islamic Banks, Financial Establishments and Investment Companies (the Islamic Banking Law), and the various circulars, notices and resolutions issued by the board of governors of the UAE Central Bank, from time to time (which deal with various aspects of banking, including bank accounts, maintaining of certain reserve ratios, capital adequacy norms and reporting requirements to the UAE Central Bank). g real estate finance companies, which are finance companies that specialise in funding real estate projects on a conventional or shariah-compliant basis. c establish companies and participate in enterprises provided that the activities of the latter are in conformity with shariah. The Islamic Banking Law provides that Islamic financial institutions and investment companies shall have the right to carry out lending, credit and other financial operations. They may also participate in enterprises, invest their funds in moveable assets and receive deposits for investment thereof in accordance with the provisions of shariah. Each Islamic bank, financial institution and investment company must appoint a shariah supervisory board (SSB) consisting of at least three shariah scholars specialised in shariah law and finance, to ensure that its operations and products comply with the rules and principles of shariah. The SSB will review all proposed financial products and related documents, and issue a fatwa (opinion) on the shariah compliance of the same. Once the financial product has received the approval of the SSB, it can be offered by the Islamic bank or financial institution to the public in the UAE. In addition to the Islamic Banking Law, Islamic banks are also subject to the provisions of the Banking Law. The capital markets in the UAE are still in their infancy and there are very few Islamic products listed on the local exchanges. While the UAE Central Bank is the principal financial services regulator for banks and financial institutions in the UAE, such entities are also subject to additional registration and licensing requirements at the federal and emirate levels. The Emirates Securities and Commodities Authority (ESCA) is the regulator in relation to listed securities (including sukuk). As with other jurisdictions in the GCC, the laws and regulation relating to the provision of financial products on the local capital markets are supplemented to a large extent by the regulatory regime implemented on the individual exchanges. In the UAE, while the regulators will provide the broad requirements for issuing securities, it is the individual regulators of the exchanges (such as in the Abu Dhabi Stock Exchange and the Dubai Financial Market) that will provide the detailed framework for the listing of the relevant financial products on these exchanges. A detailed review of the rules and regulations of the individual stock exchanges in the UAE and the DIFC is beyond the scope of this chapter. While the UAE equity capital markets have been near inactive in the past few years, with only a handful of primary listings on the local exchanges, sukuk (or Islamic bonds) have bucked the trend and emerged as the fastest-growing segment of the UAE Islamic capital markets. During the past 12 months, the UAE has been the second largest sukuk issuer with US$2.91 billion worth of issuances or 25.1 per cent of the total global market share. The UAE is also a popular destination for listing sukuk. As at September 2016, the total value of all sukuk listed on NASDAQ Dubai stood at US$44.8 billion. h ESCA shall respond to any application for the listing of a sukuk within five business days. If no response is received in this time frame, the application shall be considered as rejected. ESCA shall have the right to attach any conditions, to any listing approval, that it deems necessary to protect the public interest. The growth in takaful is far outstripping that of conventional insurance. In the wider Middle East, the takaful market segment is growing by 20 per cent a year. Currently, there are more than 60 takaful companies operating in 23 countries worldwide, generating takaful premiums estimated to be in excess of US$2 billion. Under Federal Law No. 6 of 2007 regarding the Establishment of the Insurance Authority and Organisation of its Operations (the Insurance Law), the UAE Insurance Authority (the Insurance Authority) was appointed as the regulator for the insurance industry in the UAE (outside the free zones), including takaful insurance, and tasked with promoting the role of the insurance industry to indemnify persons, property and liabilities against risks to ultimately protect the national economy; to accumulate and grow national savings and invest them to support economic development in the UAE; to encourage fair and effective competition; to provide the best insurance services with appropriate coverage at a affordable rates; and to achieve job emiratisation (i.e., job creation for Emiratis) in the UAE insurance market. Takaful insurance companies are required to comply with the provisions of the Insurance Law, and the takaful regulations below must be read in conjunction with the Insurance Law. a All insurance and investment transactions by the takaful insurance company must be compliant with the provisions of shariah. As per the 2010 Regulations, all premiums should be invested in accordance with shariah. We are not aware of any instance where this is not the case. We are not aware of takaful companies investing takaful funds with conventional insurers or using conventional insurers for reinsurance purposes. b Takaful products may not be offered through an ‘Islamic window’ of a conventional insurance company. c Risk management operations and investment business shall be conducted by the company on wakalah or wakalah and mudarabah together. d Family takaful insurance and general insurance may not be combined in one takaful insurance company. The existing takaful insurance companies currently engaged in both types were given a specific deadline to adjust their positions. e The insurance company is committed to provide a qard hasan to the participants’ fund in case of a deficit in the assets of this fund. f The maximum amount of qard hasan is the sum of shareholders’ equity. g The amount of wakalah fees and how it is calculated, as well as the takaful insurance company’s share of mudarabah, must be stated in advance. h An SSB must be formed in each takaful insurance company. i The Supreme Committee for Fatwa and Sharia Oversight was formed within the Insurance Authority. j It is necessary to appoint a shariah controller within each takaful insurance company. • SCR being a risk-based capital calculation that utilises the solvency template published by the Insurance Authority. The SCR introduces, for the first time in the UAE, a risk-based capital component for insurers. e the records and documents to be maintained by the takaful operator, which shall be made available to the Insurance Authority upon request. While the above developments will enhance consumer protection, they will also cause some hardship for takaful operators, particularly for the smaller operators who may find it difficult to meet the extensive reporting requirements and limitations on the types of assets in which they may invest. It is expected that these requirements will encourage smaller takaful operators to merge and consolidate their business, to manage the new solvency and reporting requirements. The vast majority of funds (including Islamic investment funds) marketed in the UAE (whether to retail customers, high net worth individuals or institutional investors) are organised offshore, and the number of onshore funds is extremely low. There are no laws in the UAE that deal specifically with Islamic investment funds. Therefore, the legal and regulatory regime applicable to investments in general will also apply to Islamic investment funds. j the ESCA Board of Directors Decision No. 9 of 2016 (concerning the regulation of mutual funds) (the Investment Funds Regulation). d an entity establishing a local fund must be a UAE joint-stock company or a UAE branch of a foreign company. The company or branch must have a minimum capital of 5 million UAE dirhams. e immoveable assets of high liquidity. Any application for a licence from ESCA for either the establishment of a fund or the establishment of a local promoter company requires the submission of a letter of application, various constitutional documents of the applicant and a business plan of some sort. The exact documents are not prescribed by the relevant authority; rather, the normal practice is for ESCA to notify the applicant of such additional documents as it might require on an ad hoc basis. ESCA requires an applicant seeking approval for promotion of a foreign mutual fund to submit the fund’s key information, an undertaking from the local promoter, a signed promotion agreement, the fund offering document, and the constitutional documents and the previous two years’ audited financial statements of the applicant (although additional documents may be requested). While the authorities identified in Subsection I.i, , have the power to regulate the provision of financial services in and from the UAE, shariah supervision and compliance is still left to the individual financial institution. Furthermore, while Article 5 of the Islamic Banking Law prescribes the incorporation of a higher shariah authority (composed of legal and banking personnel) to supervise Islamic banks and financial institutions on shariah compliance of their activities, such an authority has still not been established. Consequently, in the UAE shariah compliance is achieved in various ways, including by way of adopting national regulation, voluntary shariah-compliant standards and the fatwas, directives and resolutions of the Islamic financial institution’s internal SSB. The adherence to the voluntary standards issued by standard setting bodies such as the Accounting and Auditing Organization for Islamic Financial Institutions (AAOIFI) and the Islamic Financial Services Board (IFSB) varies among individual Islamic banks and financial institutions in the UAE. In practice, Islamic banks and financial institutions must maintain an internal SSB (generally consisting of three to five shariah scholars) to ensure that their practices are in line with the requirements of shariah. There is no specific regulatory oversight or fit and proper person test. However, the Central Bank may request to see details of the academic and professional qualifications of the shariah scholars. The role of the SSB is to review the practices and financial products offered by an Islamic financial institution and issue fatwas, confirming that the Islamic financial institution’s products and services are in compliance with the principles of shariah. 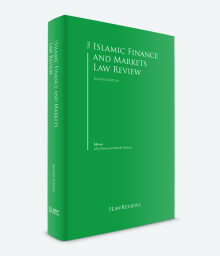 In practice, Islamic financial institutions will still seek guidance from their internal SSB; this can be problematic when arranging syndicates of Islamic banks or financial institutions, as there may be differences of opinion between the different SSBs on the application of shariah principles to the financing structure. d review the product development team’s proposals and issuing fatwas. The resulting fatwa of the scholars is then reviewed by the product development team and can be followed by a discussion between the scholars and the product development team to finalise the product. The need for a constant dialogue between the product development team and the scholars throughout this process should be stressed. In line with the majority of countries where shariah-compliant financial services are offered, each financial institution in the UAE has its own SSB, making individual decisions for the institution. The above approach to shariah compliance in the UAE contrasts with the centralised shariah compliance regime in place in other jurisdictions, such as Malaysia and Sudan, where shariah compliance is centralised within the central bank. Originally pioneered by the Malaysian Central Bank (Bank Negara Malaysia), other central banks (e.g., in Oman, Nigeria and Pakistan) have more recently established a centralised SSB within their central bank or financial regulator. The central SSB is responsible for the approval of all shariah-compliant financial transaction structures in the country. The responsibility of the SSB of the individual financial institutions is to ensure the transactions undertaken by the institution are compliant with these rules. Any amendments requested by individual institutions will have to be presented to the central SSB for ratification. The centralised SSB and Bank Negara Malaysia maintain a register of approved scholars. Scholars cannot be a member of more than one board per type of financial institution. As a result, a scholar could, for example, be a member of the SSB of a retail bank and an investment bank, but not of two retail banks. a Islamic banks accept deposits into current accounts for safe custody of their funds, as well as convenience and use. The bank may levy a charge for providing this service. These deposits are not subject to any conditions on drawing or depositing. The bank may use such deposits at its own risk and responsibility in respect of profit or loss. b Savings accounts are operated similarly to current accounts. However, customers may be restricted in the frequency in which they can withdraw their funds or may be required to give a notice period to the bank prior to doing so. The bank, at its discretion, may reward its customers with a profit-share generated from their deposits at the end of its financial year. c Islamic banks open investment accounts into which they accept deposits from customers seeking investment opportunities for their funds using the mudarabah contract. Deposits are held for a specified period. While the profits generated by the bank from the investment of the funds are shared between both the bank and the customer, according to a predetermined ratio, any losses must be borne by the customer, unless the loss was attributed to any fault by the bank. d Islamic banks are unlikely to give an overdraft facility to their customers since they will not charge interest for such a service. Instead, the bank may give a qard hasan to customers in case of hardship to enable them to meet certain obligations. e To provide trade finance facilities, the Islamic bank uses either the conventional letter of credit or the murabahah contract. In practice, Islamic banks tend to open a letter of credit only for customers who have an equivalent credit balance with the bank and in return for a fee. The Islamic bank is likely to use the murabahah contract for trade financing where the customer does not have adequate credit with the bank. As mentioned, under a murabahah contract, the bank earns its return from the markup profit. For the acquisition of completed properties an Islamic bank will generally provide funding by using the murabahah structure. However, for properties under construction, banks generally use the istisnah and forward ijarah structure. For a murabahah financing the bank will (1) acquire title to the asset from a third party and (2) transfer title to the customer (subject to a mortgage over the land or flat, etc.). Under an ijarah financing, once the asset is completed the title will first pass to the customer and then (following entry into the ijarah financing) pass to the bank. Once the lease term is completed, the title should revert to the customer (assuming that the customer has complied with its obligations under the ijarah). The participants jointly donate funds (on a tabarru’ basis) to a pool for the purpose of providing mutual indemnity and protection to the participants exposed to defined risks under the takaful policy. The takaful contract is a combination of tabarru’ (donation) and dhaman (indemnity) contracts between the individual insured and the pool of insured (policyholders) as represented by the takaful, and agency (wakalah) or profit sharing (mudarabah) contracts between the insured and the takaful operator. Many investors get together to become shareholders in large financial projects through the mechanism of the mudarabah. The Islamic bank’s role in these funds is to act as the mudarib and to use these funds to finance a large project. This mudarabah fund can be utilised by the bank in conducting its business using any of the Islamic contracts, such as murabahah, ijarah, salam or istisnah. Islamic banks finance acquisition of assets by using the ijarah contract, and the ijarah wa iqtina for longer-term assets. This technique is particularly popular for vessel financing by Islamic banks. The title to the asset will pass from the customer to the bank. The asset will be leased back to the customer for the term of the lease. At the end of the lease period, the title to the asset will revert to the customer. The Islamic structure used for a fund will depend on the underlying objectives of the fund. Fixed-income funds usually invest in murabahah (commonly commodity murabahah), sukuk and ijarah, with the investors investing their funds with mudarib using a mudarabah or wakalah contract (which governs the relationship between the investors and the mudarib). The ijarah fund structure is favoured as it can generate higher returns. Legislation establishing a general corporate income tax regime is currently in force in the UAE. The regime is, however, only applicable to companies active in the hydrocarbon industry and branches of foreign banks operating in the wider UAE. Under current legislation, there is no requirement for withholding or deducting for or on account of UAE taxation in respect of payments of accrued return or principal on investments. The Constitution of the UAE specifically reserves the right to raise taxes (such as VAT) on a federal basis, for the purposes of funding its budget, to the federal government of the UAE. It is not clear how or if such taxes will affect Islamic finance agreements or institutions. This will only become clear once the relevant laws are passed. There is no separate insolvency regime for Islamic finance participants in the UAE. Although the UAE has shariah courts, these courts only deal with family law-related issues, including marriage, divorce and intestacy. Any commercial disputes in the UAE (including Islamic finance disputes) are resolved through litigation in the UAE civil courts or arbitration. Consequently, should a commercial dispute be brought before a UAE court, the court is unlikely to apply a different treatment to the dispute solely on account of the transaction being shariah-compliant. The dispute will be subject to the same processes and procedures as a conventional financing counterpart. The courts will also apply the laws of the UAE in determining the case. Furthermore, if a document purports to be governed by shariah law, courts will likely disregard this choice of law, and will instead apply the applicable UAE laws. The UAE is a federation of seven emirates. All member emirates, except Dubai and Ras al-Khaimah, are part of a federal judicial system; Dubai and Ras al-Khaimah have independent judicial systems. In every emirate, the court system consists of the Court of First Instance, the Court of Appeal and the Court of Cassation (Ras al-Khaimah, however, does not have a Court of Cassation). Commercial disputes in the UAE (including Islamic finance disputes) are generally resolved through litigation in the UAE civil courts or arbitration. It is common for UAE banks and financial institutions to choose UAE law (or the law of a particular emirate) as the governing law of the transaction documents and the UAE courts as having exclusive jurisdiction over all related disputes. The UAE operates under a civil law system. The civil court (or Court of First Instance) hears all claims ranging from commercial matters (including debt recovery cases) to maritime disputes. After judgment has been delivered, the parties have the right to appeal to the Civil Court of Appeal on factual or legal grounds, or both, within 30 days of the date of judgment. It is possible to introduce additional evidence to the Court of Appeal and request that additional witnesses be called to testify. Thereafter, parties may appeal on points of law alone to the Court of Cassation (the highest court in Dubai), which is usually composed of five judges. The appeal must be filed within 30 days of the date the parties were notified of the judgment of the Court of Appeal. All decisions of the Court of Cassation are final and are not subject to appeal. Each case is decided on its own merits and facts. All court proceedings are in Arabic. All non-Arabic documents filed in court by the litigants must be translated into Arabic by a translator licensed by the Ministry of Justice. The judicial system in the UAE is essentially inquisitorial in nature. In each case, the judge will investigate the facts and apply the law to the facts in reaching his or her judgment. There is no concept of a jury trial. All proceedings in UAE civil matters are based on the written pleadings of the parties, supported by documentary evidence. In general, there is no oral hearing in civil cases. There is a widespread practice for both the federal and the Dubai courts to refer matters to court-appointed experts for findings of fact in a variety of areas, including finance, accounting and other technical matters. Experts’ reports (including reports from shariah scholars) are not binding and can be challenged by the parties, but they are usually considered persuasive by the courts. Oral evidence can only be given to establish a fact in a civil case with the permission of the court and the right to cross-examine witnesses is severely restricted. The UAE courts do not adhere to the traditional common law standard of proof such as the balance of probability test in civil claims or the beyond all reasonable doubt test in criminal matters. The final decision in any case is at the discretion of the judge or judges hearing the case. All commercial cases are heard by the civil courts, usually consisting of three judges in the Court of First Instance, three judges in the Court of Appeal and five judges in the Court of Cassation. These judges may not have specialist knowledge of commercial matters. However, commercial disputes must first be referred to a Reconciliation and Settlement Committee (the Committee), appointed by the Ministry of Justice (Federal Law No. 26 of 1999 regarding establishing reconciliation committees in the Federal Courts (the Reconciliation Committee Law)). The Committee facilitates settlement and usually hears parties in person. If a claim cannot be settled, the claimant can file a claim in the Court of First Instance. If the parties reach a settlement, they record and sign its terms. This agreement is binding and enforceable. This procedure does not apply in Dubai or Ras al-Khaimah. Dubai recently passed a law creating the Centre for Amicable Settlement of Disputes, to which certain cases must be referred before initiating court action. To maintain the legal enforceability of an agreement, it is advisable for all the elements necessary for shariah compliance purposes to be incorporated into the agreement itself. Under the UAE Civil Code, where the intention of the parties is clear from the language of the contract, the courts will not imply any further meaning or additional terms to the contrary. Save in the cases where the contract was unclear and the provisions of the law and customary practice are silent on an issue, the UAE courts are unlikely to examine the shariah aspects of a document. In addition to the civil courts, the parties may choose to resolve a dispute through the International Islamic Centre for Reconciliation and Commercial Arbitration (IICRCA). The IICRCA is a dispute resolution forum for the Islamic finance industry, based in Dubai. The IICRCA was established for the purpose of assisting in resolving financial and commercial disputes that may arise between financial and commercial institutions or between such institutions and their clients or third parties through reconciliation or arbitration in accordance with the principles and rules of the Islamic shariah. The IICRCA handles commercial disputes in the Islamic financial industry from across the GCC as well as Malaysia. The agreement of the parties is required for the IICRCA to have jurisdiction. The IICRCA is not commonly used. There are other regional arbitration centres, in Sharjah and Ras al-Khaimah, such as Sharjah International Commercial Arbitration Centre and Ras al-Khaimah Centre of Reconciliation and Commercial Arbitration. These arbitration centres are not commonly used. We are not aware of any significant case law regarding the interpretation of Islamic financial products. Furthermore, please note that the UAE does not follow the principle of stare decisis and judgments of the UAE courts are not always published. The concept of a higher shariah authority was first contemplated under Article 5 of the Islamic Banking Law, which provides that this authority shall incorporate ‘legal and banking personnel to undertake higher supervision over Islamic banks, financial institutions and investment companies to ensure legitimacy of their transactions accordingly to the provisions of Islamic shariah law, and also to offer opinion on matters that these agencies may come across while conducting their activities. The opinion of the said Higher Authority shall be binding on the said agencies’. While news reports claim that the UAE Cabinet has approved the launch of a new shariah authority to regulate and set standards for Islamic finance products, approve financial products, and set rules and principles for Islamic banking transactions in accordance with Islamic jurisprudence on finance, few details have been released as to how such an authority will affect interaction with existing SSBs (i.e., will the UAE adopt something along the lines of Malaysia’s centralised shariah supervisory regime (see Section I.ii) or will financial institutions still manage shariah supervision through their SSBs?). Having a centralised shariah regulator would help to address the ongoing controversy surrounding ‘fatwa shopping’ in the UAE (i.e., the practice by financial institutions of approaching multiple shariah scholars, to review their proposed financial products, to choose the shariah scholar who offers the most favourable fatwa). In 2015, ESCA’s research department circulated draft regulations for (1) private equity funds, (2) real estate investment funds, and (3) investment funds. These draft regulations detailed rules and procedures on a variety of issues relating to the particular types of fund, including the offering, operating and management of such funds in and from the UAE. However, following the issuing of the less detailed Investment Funds Regulation, it is no longer clear whether ESCA still intends to proceed with the above draft regulations. 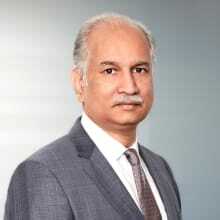 1 Amjad Ali Khan is a senior consultant and Rahat Dar is a senior associate at Afridi & Angell.